It’s a few months since I started showcasing my special Diamond Dozen 2016. Thank you to one and all for sharing their insights and tips. As I explained at the beginning of the series, leadership is not about hierarchy or status; it’s not a role. Leadership is a mindset. And, as such, we can all develop it within ourselves and help others develop it too. 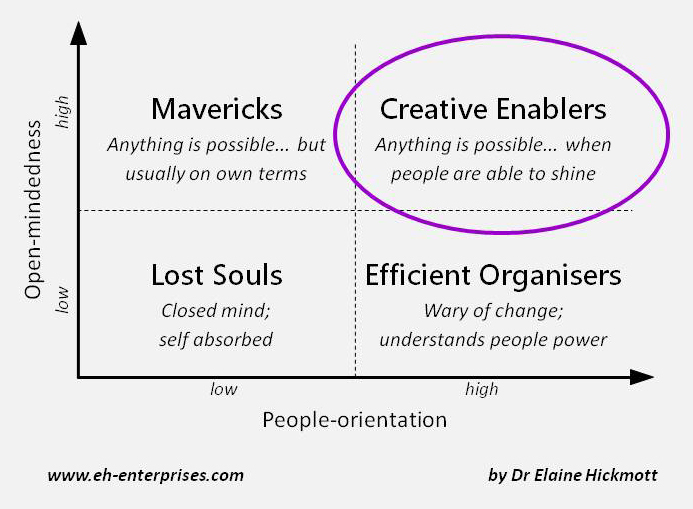 My definition of that mindset is a Creative Enabler. The Diamond Dozen 2016 are shining real examples of Creative Enablers, combining open-mindedness and people-orientation to help individuals, teams and organisations achieve success in a multitude of environments and situations. Yet, conspicuous by their absence from the Dozen is number 12. Who is it? Whatever your career aspirations, experience or area of technical expertise, as a scientist or engineer you make a difference to society and the economy every day. Curiosity and problem-solving abilities are key to maintaining open-mindedness. Communicating ideas and working successfully in multi-disciplinary teams require high levels of people-orientation. By the very nature of your career path, skills and experience you are continually developing a leadership mindset. You already are, or on the road to becoming, a Creative Enabler.